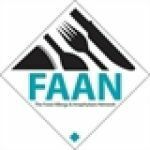 FAAN or the Food Allergy & Anaphylaxis Network is a non-profit organization dedicated to educating as many people as possible about food allergies. It is where you will find valuable information about food allergies and research. Visit the site and choose from the available membership options. get the special promo for the new member. Details: 10% discount on medical ID.